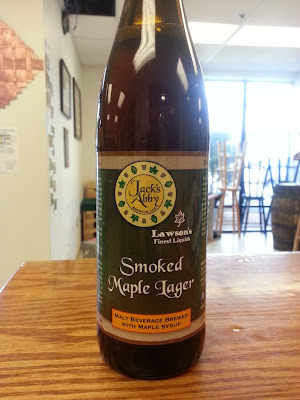 Home » Jack’s Abby- Lawson’s Maple Smoked Lager – It’s here! Jack’s Abby- Lawson’s Maple Smoked Lager – It’s here! Coming to a store and fine beer bar near you…now! See Jack’s Abby website for more details on this exciting project! You can also look for other Jack’s Abby bottled beers at Lawson’s retail locations.